When you decide to sell your home, you may wonder if you need a real estate agent. If you decide to use a real estate agent, you will need to know where you can find an agent. Once you find an agent, it’s important to ask the right questions when you interview the agent. You want to work with someone that you connect easily with. If you’re not happy with your current agent, it may be necessary to switch agents. Also, you might want to think twice before working with friends or family. Selling your home is not something that is going to happen the minute you stick a for sale sign in your front yard. It takes time for your home to gain exposure and attract buyers. A real estate agent can boost the exposure of your home and bring in more offers in less time than you could do on your own. Another advantage that you have with a real estate agent is that they will provide you with comparable sales and help you set the right asking price for your home. An agent can help you stage your home so that buyers will instantly feel at home as soon as they walk in the door. You want to find an experienced real estate agent who will work hard to negotiate a deal in your favor. You can check the yellow pages or do a search on the internet. Many agents receive clients through word of mouth. You should ask others if they can refer you to an agent. You can also attend open houses to see if you connect with an agent. Drive around your area and take note of the real estate signs at properties for sale. You can also call your neighborhood real estate brokerages. >What Should I Ask During an Interview? When interviewing a real estate agent who may be representing you, don’t be shy. You should ask them about their experience and education. You want someone who keeps up with industry standards by taking continuing education classes and has substantial experience. Find out if they are a member of the National Association of Realtors. Membership allows them to use the title of Realtor. It also means they agree to adhere to professional and ethical standards set by the association. Ask the agent for the price range of homes they usually sell. If the price is well above or below what you think your home will sell for, it may be that the agent will not know exactly how to best market your home. What If I Want to Find a Different Agent? 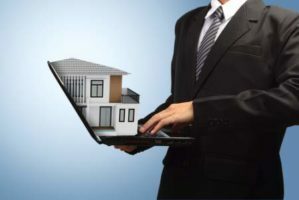 You may find that you are not feeling a connection with the real estate agent you have chosen. Remember, your agent should have your best interests in mind and if you’re not clicking, then it may be time to switch agents. Selling your home is a big deal and the agent you’re working with needs to do the job right and get you the most for your home. If you have decided that another agent will work better for you, then you can gently tell your current agent that you appreciate their help and the time they’ve spent with you, but you’ve decided to work with a different agent. If you don’t want to be the one to part ways with your current real estate agent, the new agent will happily do it for you. When you decide to sell your home, you may feel obligated to list your home with a friend or family member. However, there are several reasons why this might not be the best idea. For starters, a friend or family member may not work as hard for you. They may choose to work with other clients while leaving you to stage your home or do market research. Unfortunately, they may view your work relationship casually because you are close personally. Also, they may not know the market in which you live. Your real estate agent needs to know your market area if they are going to successfully sell your home and get you a great deal. Finally, when you do business with friends or family, any disputes or disagreements can sour the relationship. This is something you certainly want to avoid. Once you find the right real estate agent, you can proceed with selling your home and having a successful transaction. Your agent is going to be a key person throughout the entire process so make sure you choose someone that you like and trust.